You have to go out of your way to see them but at least three are still working in logging country, belching smoke and with their steam whistles screaming like ghosts of a memory. And this is on Vancouver Island, British Columbia, Canada. On Canadian main lines there are no more steam locomotives; there are only diesels that swish by almost antiseptically, with a nasal blast from their air horns. Even in the woods the steam locos are under the gun. The Hillcrest Lumber Co Ltd stopped the twice-weekly run of their "Climax" when the logs ran out near Mesachie Lake and closed its mills recently (1968). 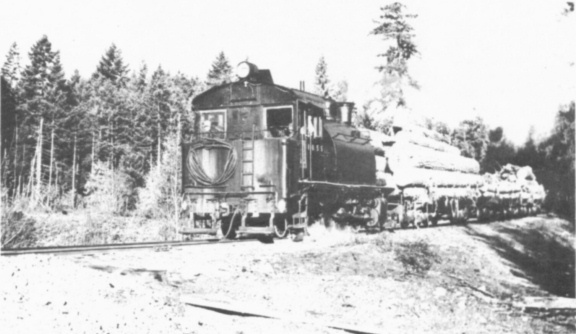 But Macmillan Bloedel Ltd. uses two steamers to get their timber down to the Chemainus tidewater. And at Duncan Bay, near Campbell River, the Elks Fall Co Ltd is using a small "Shay" to unload barges at its pulp mill. 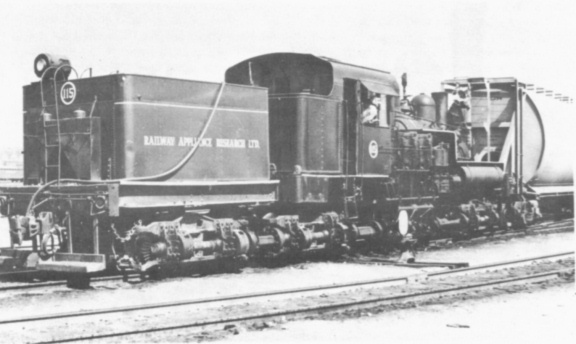 The Canadian Pacific Railway retired its last Vancouver Island steam engine in 1951 when it put diesels on the Esquimalt & Nanaimo Railway run between Victoria and Courtenay. In 1958 Canadian National steam made its last run through the Cowichan subdivision. The engine was 2141 and she sat outside CNR's Point Ellice shops until 1961 when she was moved to Kamloops for preservation. Hillcrest Lumber Co Ltd 10, a 70‑ton three truck "Climax" built new for Hillcrest in 1928. Photographed at Mesachie Lake in British Columbia before the Company went out of business. MacMillan Bloedel's 1055 (Baldwin 60942 of 1929) was photographed in February 1968 at Nanaimo River, near Ladysmith. This 2‑8‑2 side tank has 18in by 24in cylinders and 42in drivers. 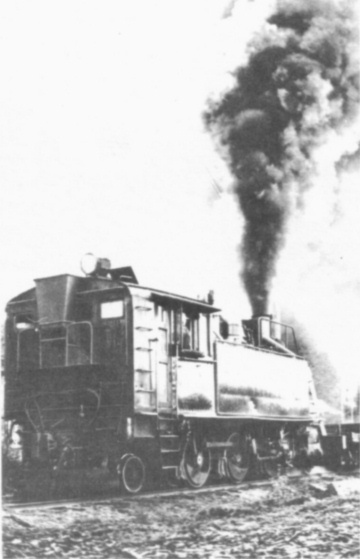 MacMillan Bloedel's 1055 makes two 20‑mile runs a day from its loading point down to the Diamond yards below the "S" bridge just to the north of Ladysmith. A diesel takes the next leg to Chemainus where a little steamer shunts the cars to the log dump. Despite steep grades on the last shunt 1044 is holding her own. In fact she has outperformed several diesels that have tried to replace her. MacMillan Bloedel has two other steamers, and Canadian Forest Products Ltd at Englewood one; all are primed up and on standby should their diesels fail. 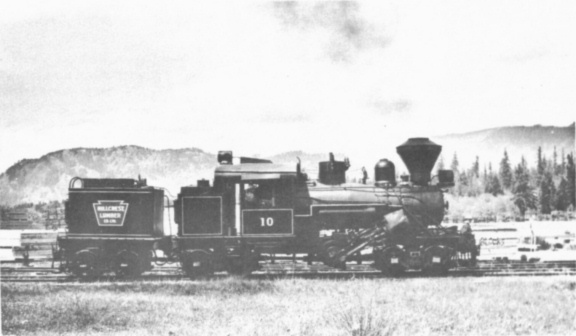 The Hillcrest "Climax" which was the only one of its type still working on the Continent - and the Elks Fall Company's Shay are hybrids, specially developed to haul logs from the bush. Railway Appliance Research Ltd has two (114 and 115) three truck "Pacific Coast Shay" locos still in service on North Vancouver Docks. 115 (Lima 3350 of 1936) with 13in by 15in cylinders and 36in wheels was built for Meriel Ring Wilson Ltd and worked for three logging companies before coming to RAR.